Follow below detailed steps and create an eye-catching Google Plus banner within minutes. Step1. 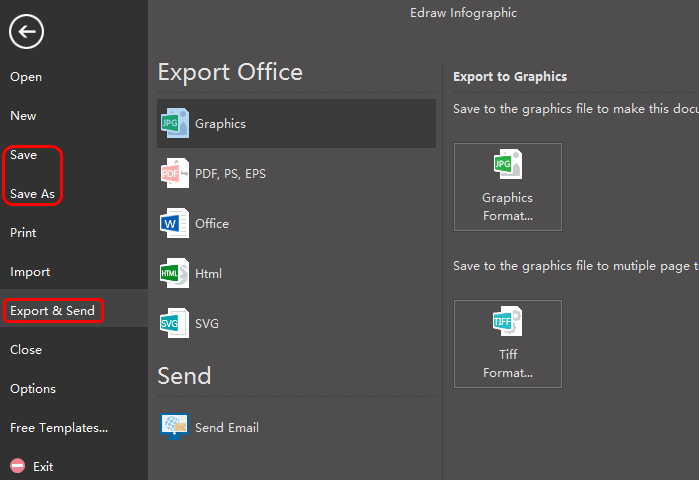 Run Edraw banner maker, go to File menu, click New > Banner to open a blank drawing page. Step 2. Set the banner size by hiting PageLayout tab > Page Size > More Page Size, customize its dimension as 851 pixels wide by 315 pixels tall. Step 3. 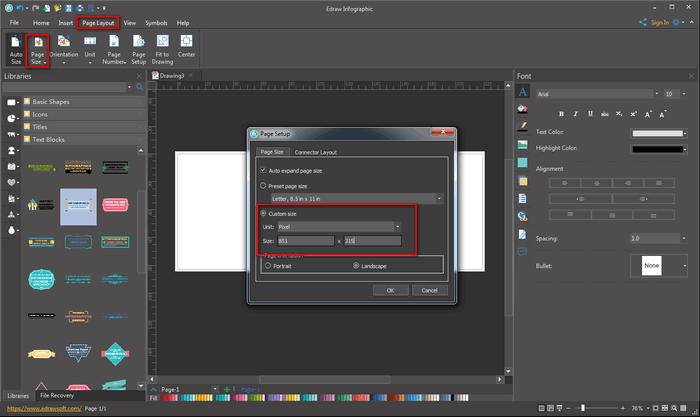 Drag proper banner elements from the left libraries and drop on the drawing page. Users can edit these elements if necessary. Step 4. Go to Home page and click Text to add key contents then finishing typing by clicking any blank area. Step 5. 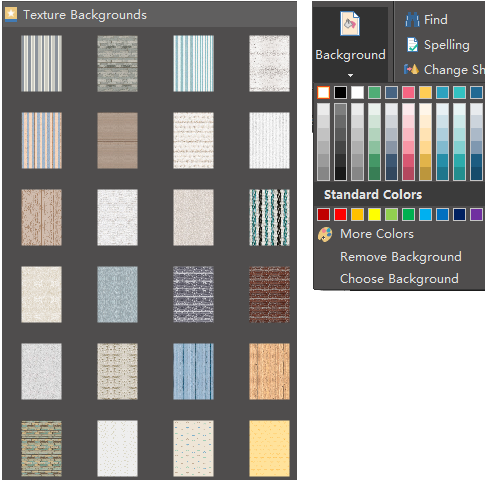 Choose a texture background from left libraries or select a single color background by click Background under Home page. Step 6. Click Save on File tab to save the Google Plus banner as the default .eddx format; or select Export & Send to export this banner to common formats for sharing conveniently. Here is an example of created Google Plus banners. Edraw banner maker is where you can create your own banners in all sizes easily and you can choose generating your banner from scratch or customizing from built-in templates. It provides thousands of vector symbols grouped into different categories for users to drag, drop and edit. 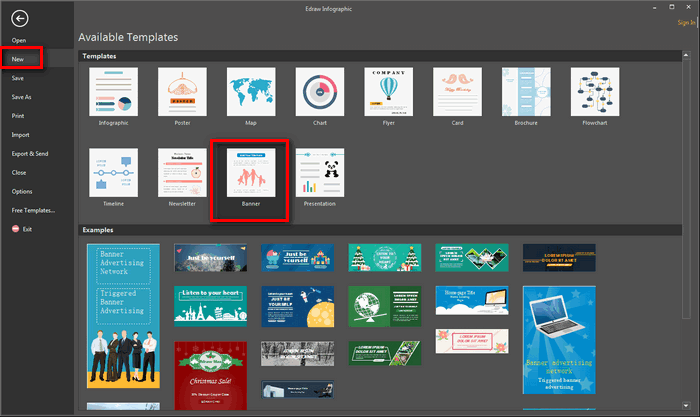 Even a set of drawing tool are also offered for users who may want to create their own banner elements. Besides those, well-designed banner templates are also provided for helping users get started quickly. Below are top 5 tips to create an impressive Google Plus banner. Stick to standard sizes - 728×90px — Leader board; 300×600px — Half Page; 300×250px — Medium Rectangle; 336×280px — Large Rectangle. These are most successful banner sizes. Effective banner are designed to increase brand awareness and drive traffic to your website, thus, create a simple hierarchy of three basic elements:　Branding, message and encouragement to click. Make your banner contents simple and graphical since few people would like to spend their time reading large fonts with poor format. 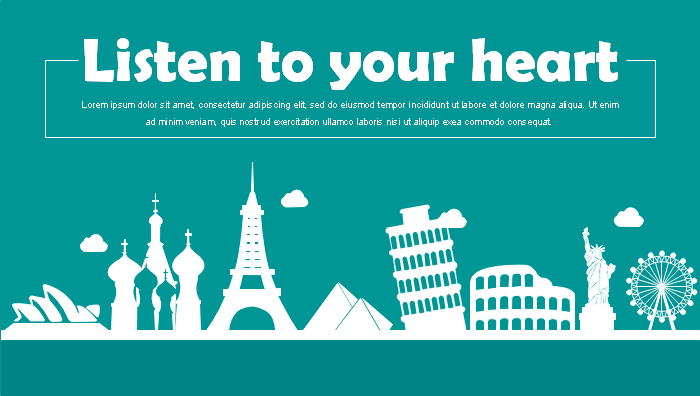 Focus on fonts: make the headline striking with something bold & colorful and differentiate with others. Color will be the first thing a user notices in your banner so it’s important to consider what types of emotions you want to evoke in your audience. Experience the Magic of Our Banner Maker!